Diesel Tuning VBox - The easy diesel tuning plug and play tuning tool! Diesel Tuning VBox - The easy diesel Tuning plug and play tuning tool! 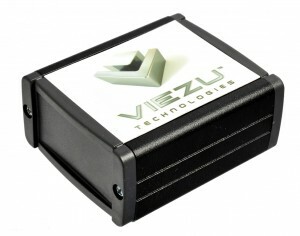 Viezu Technologies offers diesel Vboxes, these small modules are plug and play, meaning once fitted you instantly see performance or economy gains. They are revolutionizing the tuning industry by offering vehicle performance and economy tuning that can be fitted in minutes meaning minimal downtime and without the need to remove the ECU! you can see more here https://viezu.com/v-box The Diesel Vboxes support most modern vehicles, with hundreds different makes and models supported. The Viezu V-Box diesel tuning boxes are the most innovative on the market, they are full programmable and actually hold an ECU remap on the Diesel tuning box its self, so it works just like a full ecu remap, just without programming the vehicles own ECU. This means the Viezu V-Box diesel tuning boxes deliver remarkable results for both cars, and vans, and just like ECU remapping software, we can tune our diesel tuning boxes for power, performance, fuel economy or a perfect blendm don' fit any tuning box, fit the best! Like all our tuning, the Viezu V-Box Diesel tuning box comes with our unique 30-day money back guarantee if you are not delighted for any reason at all simply return your Diesel tuning box for a full refund for up to 30 days!